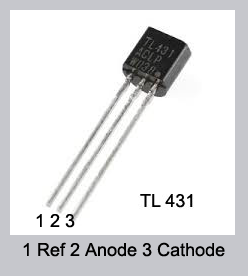 TL431 shunt regulator is a tiny IC similar to transistor BC547 with three pins. 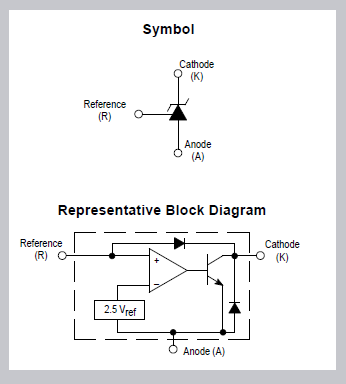 Pin 1 is Reference pin, Pin 2 Anode and Pin 3 Cathode. It is internally referenced at 2.5 volts, so the selection of the resistors for the voltage divider is important. 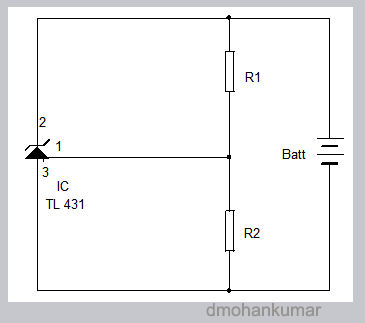 The Resistors in the voltage divider can be named as R1 and R2. R1. Let us see the method of selection. High Limit = Vref (1 + R1 / R2). Vref is fixed as 2.5 volts. 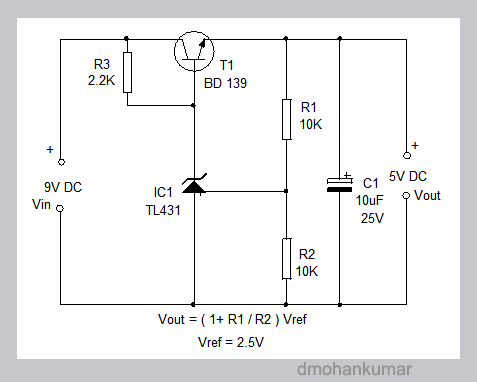 This formula gives the output voltage when we select R1 and R1 randomly. Suppose we need a specific output voltage. For this another formula is there which can be used to select R2. R2 = 10K / ((13.8 / 2.5)-1) = 10,000 (13.8 / 2.5)-1) . That is ( 13.8 / 2.5 )-1) = 4.52 = 10K / 4.52 = 10,000 / 4520 = 2200 Ohms or 2.2K. 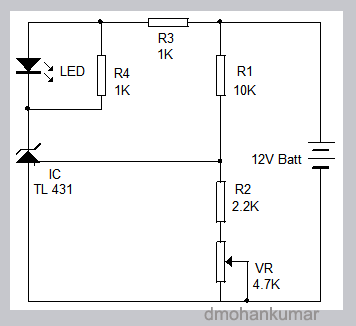 Resistor R3 limits LED current to 12 mA. For high brightness use 470 Ohms as R3. 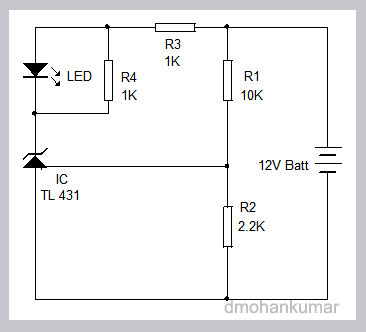 Resistor R4 in parallel with the LED prevents the LED from glowing softly when the input voltage is still below the switch on voltage. But if you use a 4.7 K preset connected in series with R2, then the High limit voltage at which LED lights can be adjusted from 6.1 V to 13.8V.